A little more than a week after New York Gov. Andrew Cuomo, a baptized Catholic, signed off with celebratory zeal on one of the most radical abortion laws in the country — allowing babies in the state to be aborted up until the moment of birth essentially for any reason — a similar measure was introduced on the floor of the Virginia House of Representatives. Soon after, Virginia’s Democratic Gov. Ralph Northam spoke to WTOP radio in defense of HB 2491, which permitted abortion even if the mother was on the cusp of giving birth. Then he took it a step further. Two days after giving this interview, Northam was being called on by members of his own party, and beyond, to resign. Astonishingly, however, it wasn’t his comments insinuating his openness to infanticide that led to the public outcry. It was the surfacing of an objectionable photograph, with one individual in blackface and another in KKK garb, that was published on Northam’s page in his medical school yearbook from 1984. In a confusing flip-flop throughout the weekend, Northam admitted to being in the photo, then said he was not in the photo, but that he had, in the past, worn blackface. The photograph is shocking, and such behavior is indefensible (though a healthy debate could be had about how long one should be expected to pay for the crimes of the distant past). 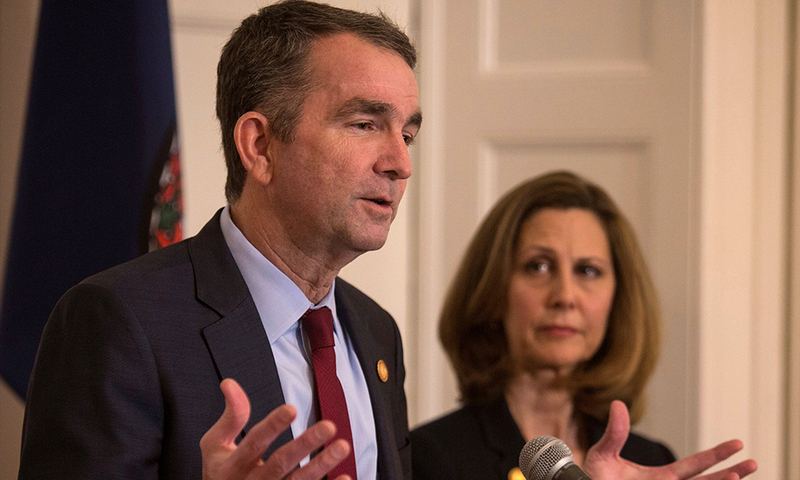 But as disturbing and inappropriate as the photograph is, if one of the events of that week were to have sparked strong, unified calls for Northam’s resignation, it should have been his seeming indifference concerning the destruction of innocent infants not just before, but after, they had been born. Is this now up for debate? The question of infanticide carried over onto the national stage Feb. 4 when Sen. Ben Sasse (R-Neb. ), in response to the events in New York and Virginia, introduced the Born-Alive Abortion Survivors Protection Act into the Senate to guarantee that children born alive during a botched abortion attempt would be given all possible chances to live. The fact that a debate on infanticide is taking place, and that measures permitting third-trimester abortions not only are being discussed but signed into law, shows all too well the skewed priorities of many in politics and in our society. And it shows the ramifications of the all-too-twisted slippery slope that began with the legalization of abortion even in its earliest of stages. That Northam, whose political record on civil rights has been impeccable, has been more vilified for an offensive 35-year-old photo than for his acceptance of present-day infanticide is no small irony, since abortion has resulted in the deaths of 19 million African-American babies since the passage of Roe v. Wade. What a tragedy of our time that we are not able to honestly assess the morality of both of Northam’s actions.